In the morning we have sightseeing in Cochin and visit the St. Francis Church, where Vasco Da Gama was buried, Chinese Fishing Nets, Jewish Synagogue, Mattancherry Palace etc. After having sightseeing drive to Munnar enjoying the scenic beauty and waterfalls, high mountains. Munnar is a beautiful hill resort situated in the cradle of tea plantations. Munnar, the queen of hill stations is located at the confluence of three mountain streams namely, Mudrapuzha, Nallathanni and Kundala, along the western Ghats on the eastern border of Kerala and was once the summer resort of the British government in South India. 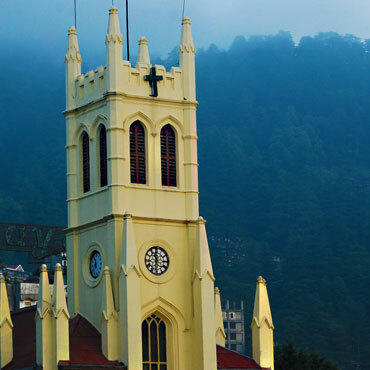 Sprawling tea plantations, picture-book towns and winding lanes make this a popular resort. Arrive in Munnar and drive to the hotel. In the morning you will have sightseeing in Munnar and visit the tea plantation, Rajmalai, a top peak of Munnar and Mattupetty. Rajmalai is the natural habitat of the Nilgiri Tahr, located about 15 km from Munnar. Half of the world population of the rare mountain goat, which is becoming extinct, is now found here. Mattupetty is located about 15 kms from Munnar and known for its highly specialised dairy farm - the Indo Swiss Livestock project. Over a 100 varieties of high yielding cattle are reared here. In the morning after having breakfast drive to Thekkady. On arrival drive to the hotel. Thekkady is a naturalist's paradise of unending chains of hills and spice scented plantations. 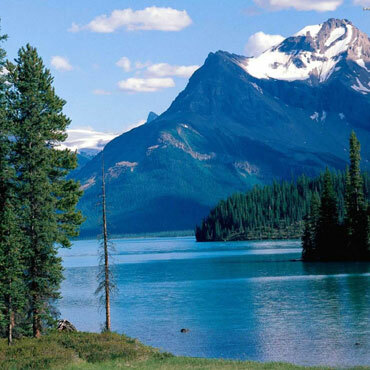 It has unspoilt tropical forests and incredible wealth of animal and plant life. Thekkady is well known for the Periyar National Park and the elephants are the major attractions here. In the afternoon, drive to the Periyar National Park. The Periyar National Park and Tiger Reserve is one of the most captivating wildlife parks in the world and also one of the largest and finest wildlife reserves in India. Periyar National Park covers an area of 780 square km and was designated a part of project Tiger in 1973. In the evening we have a boat ride on the Periyar lake and observe the activities of elephants, tiger, bison, wild oxen, wild boar and spotted deer. Later we visit spice plantations like cardamom, cinnamon, pepper, coffee, tea estates etc. on your way back to the hotel. In the morning drive to Kumarakom. Kumarakom is the famous backwater tourist destination and most fascinating paradise in Kerala. 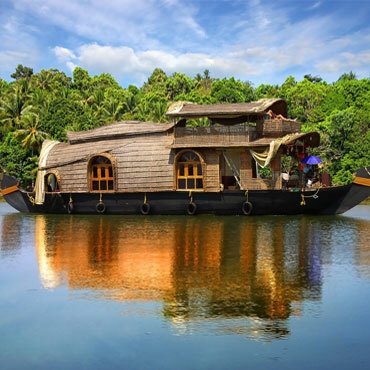 The backwaters in Kumarakom houses a variety of fauna, flora and marine life. 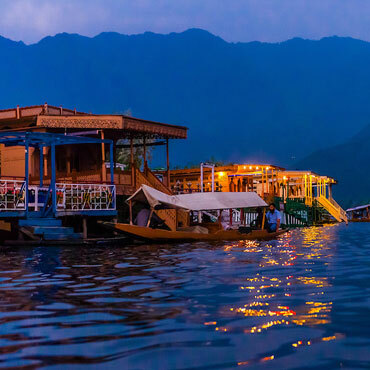 On the way you will see various local activities of the people living along the backwaters and also visit some of the tourist places on the way. On arrival, drive to a backwater resort. Rest of the day free to relax. 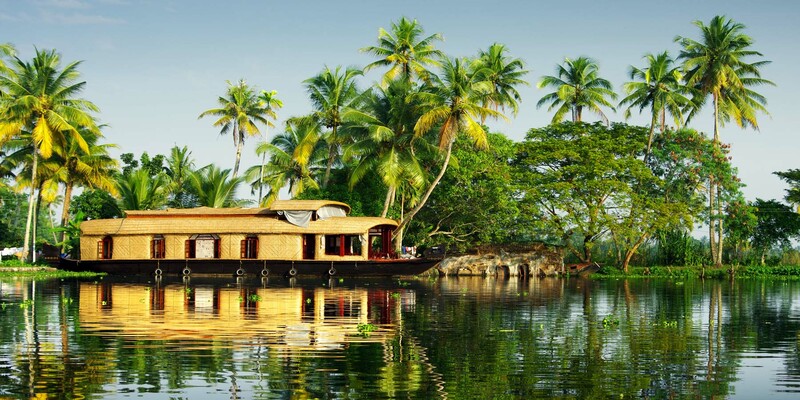 In the morning after having breakfast, leave the resort and drive to a traditional houseboat of Kerala style and enjoy the cruise through the backwaters. Overnight stay in the houseboat. In the morning after having breakfast, leave the houseboat at Alleppey and drive to the Cochin airport for the onwards journey or flight to home destination. Office No. 207, 2nd Floor, Ambadeep Building,KG Marg, Connuaght Place New Delhi - 110001,India.